LeadLearner: Are You Limited by the Labels? Are You Limited by the Labels? What do you see when you look at a student? Are you influenced by their clothes, their hair, or their appearance? Do you judge them by the attitudes or the language they use to address you? Whether we like it or not, a first impression is always formed by what we immediately see, but great educators possess the innate ability to look beyond the first impression to dig deeper into that child. Here is a great video by Dwayne Johnson that illustrates what an educator can do for tough kids when they look far beyond rough edges to help students find their purpose in life. But What about the Labels We See? When you see a list of students, are you influenced by the labels on the list? When you are told that a student is LOW, do your beliefs about their potential instinctively drop? Do you think students with a G/T label have very few difficulties in learning and should be able to do most things quickly and with fewer tries? Do your learning targets change for students with a special education label compared to students who don't possess a special education label? Do your expectations lower for a student when you see that he failed the state test in your content area for the last 3 years? For students in an ESL program, do you make assumptions about their ability to learn based on their language proficiency? Do Labels Lead You or Limit You? 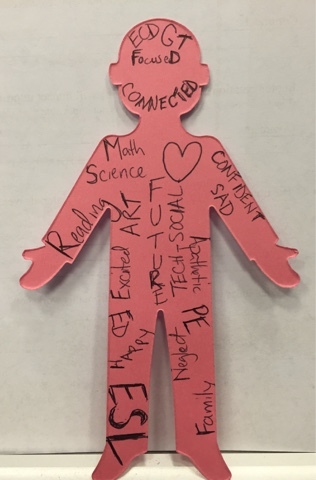 If we're honest with ourselves, we are prone to make assumptions based on the labels assigned to students. Furthermore, those labels influence our planning to lead them to excellence. But the question we shouldn't ask ourselves is not if we look at kids differently. The fact is that we do, and honestly we must. What we must guard ourselves from is allowing labels to change our belief about the potential of our students. We should continuously ask ourselves if labels lead us or limit us? If they lead us, we are able to better personalize learning in such a way that addresses student deficients by leveraging their strengths. If they limit us, we only see limitations shown by the label. Great educators are led by labels not inhibited by them. 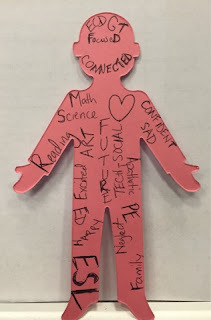 They see potential not impossibilities, and they use labels to find innovative and creative ways to help every student discover their real label, EXCELLENT!! !